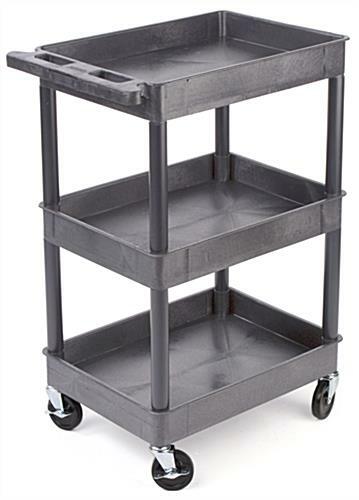 These Service Carts with Locking Wheels are Highly Durable. 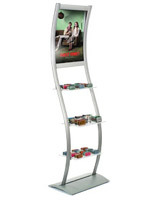 These Rolling Units are Ideal for Retail and Restaurant Use. 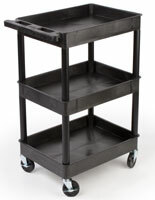 Service Carts are Ideal for Transporting Your Merchandise. Polyethylene construction allows for steadfast reliability and longevity. Non-porous surface is easy to maintain and clean. Two of the four casters lock for added stability. 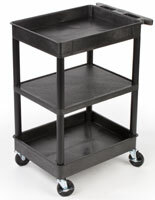 These service carts with locking casters are widely used in colleges, retail locations and catering facilities. These utility trolleys can also be used for janitorial purposes. 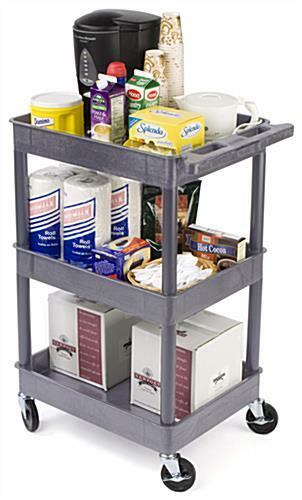 Service carts can be used by housekeeping services! 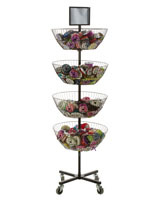 These rolling utilities have shelves with 2-3/4” lips and 12” clearance in-between the middle levels. The service carts with locking wheels allow the cart to be a service station. These trolleys have true universal applications. Please note: Service carts need two people for assembly. Rubber mallet and hardware necessary for assembly are included.